The real question here isn’t whether a business needs to invest in SEO - it’s how much to invest, and whether it’s worth bringing in an SEO agency, and if so - when? In this article, we look at some scenarios where it’s wise to invest in SEO, and others where it’s not. B2B marketing traditionally made heavy use of telephones, mailshots and newspapers - channels which can no longer be relied upon. As consumers and business buyers increasingly use the Internet in their personal lives, the trend has followed through into the marketing world. Forrester and Gartner both predict that by 2020, 80% of B2B transactions will be carried out entirely online. This means that fewer and fewer businesses will be able to thrive without moving the bulk of their marketing efforts online. It also means that competition to be found online is only increasing, so that investing in SEO has never been more important. Website structure is key to SEO success. This includes features like internal links between web pages to keep customers on-site, URLs (web addresses) that relate to the content, and adequately alt-tagged images and videos. The customer experience and usability offered by a site depend on its use of structured content and signposting, which in turn affect SEO performance. When developing your site, it’s essential to think about both of these things in tandem, and have specialist skills on hand to ensure the site works correctly, and has all the metadata and tags in place to be optimised for search. Mobile-First Indexing went live in March 2018. This means that Google uses the mobile version of a page for indexing the site in its search engine, because the majority of Google users are also mobile users. Slow-loading content that doesn’t work well on mobiles will, therefore, attract less attention from Google’s crawlers. Google insists that no actual advantage or disadvantage in the rankings is involved, but does recommend that developers build their sites to be mobile-friendly so that they’re easier for Google to find in the first place. This is a big problem for older or slower sites that don’t respond well on mobile, or that haven’t adapted their layouts for small touchscreens. If this is the case with your site, it’s time to think carefully about spending on SEO. To find out whether yours is mobile-friendly or needs to be adapted, Google provides this test. It’s important to consider that being mobile-first isn’t just better for SEO. Doing so provides a better user experience – and therefore a better customer experience – for the 66.4% of Internet users who use smartphones for some or all of their browsing. If you’re planning to recruit three new salespeople, they’re going to need leads. Since the majority of the buyer’s journey is now completed online, those leads are going to depend on your business having an effective online presence. SEO is an integral part of an effective inbound marketing strategy for two reasons. First, customers must be made aware of the service you offer online, and so pages must be optimised to appear on search engines. Second, those pages must rank competitively on SERPs (Search Engine Results Pages) against competitors selling the same item or service. 60% of customers only click the first three suggested results for their search enquiry. Sitting on the second or third page of search results for a product or service therefore means missing out on sales. Expanding your presence online should be a two-part process, involving distribution channels like social media, as well as your actual website. Social media directs customers to your website, where they can complete their transaction. In this way, SSO (Social Search Optimisation) – SEO for posts on social media networks – can offer real lead generation benefits. If you’re not seeing an increase in your number of users from your blogging activity, there’s likely to be an underlying SEO problem. You may need to improve the copy; you may need to use smaller images that load faster and tag them better. You may need to change the way you write meta tags or start creating content that links to other reputable sites and invites visitors to link back. You may need to change your whole content management system. 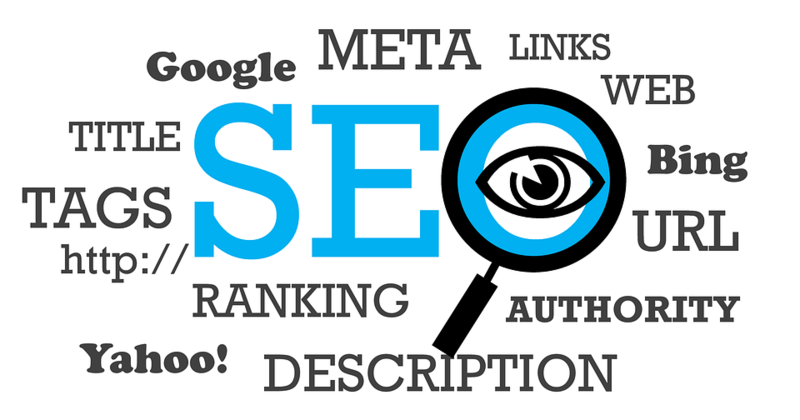 An SEO consultant will be able to perform these checks for you. Any spend on SEO should be justified by increased sales. Be goal-oriented. Your SEO consultant may be friendly, cheap and professional, but if there’s no key performance indicator, no measurable metric, and no positive impact on the bottom line, they cannot prove their value to your organisation. If this is the case, press pause and work out what you want to achieve from improving your SEO - then demand that your consultant demonstrate their success along these lines. Secretive SEO specialists who can’t show how they are working and prove how their activity leads to results are trying to hide something. Specifically, they’re trying to hide a lack of meaningful expertise and activity. A lot of snake oil has been sold under the banner of SEO, with some dodgy dealers relying on business leaders’ poor understanding of the internet at large. A good SEO consultant will explain what they’re doing and why, and trust you to hire them on merit. Content is the cornerstone of SEO. It’s how a business generates backlinks - that is, links from other websites – and what facilitates all of the other SEO advice online. If you haven’t updated your website since 2008, you don’t have anything there to optimise; you need a broader content strategy to modernise your marketing. Even businesses who are active online haven’t always thought to create useful content. Their strategy may be confused; they may lack insight into their audience, they may simply be putting something out while their energy is focused on fighting fires elsewhere in the business’ structure. Creating content takes time and resources. If you don’t have content, there’s nothing on your site to optimise - and nothing to attract people’s attention. In the words of SEO expert Jon Payne, "people think SEO is about technology when actually it’s about understanding your customers: where they are and what they’re searching for." This means SEO best practice is as much about market research and customer feedback as it is about web design and Google Analytics. Every business that’s active online needs to put some thought into SEO. The big question is how much thought, and how much investment should follow. The answer will depend on the skills and knowledge you have in-house. There are enough do-it-yourself SEO-101 guides and best practice documents on accessible web design out there for you to bring in a decent amount of traffic by yourself. However, building an SEO strategy requires more specialist training, skills and insight that many businesses can afford to keep on their payroll permanently. If you’re struggling to understand your customers, or get visitors to your site, get in touch - or to see how your marketing efforts are working, take our free Marketing 360 healthcheck.